For over two thousand years, historians and academics have argued over the route taken by Hannibal across the Alps. 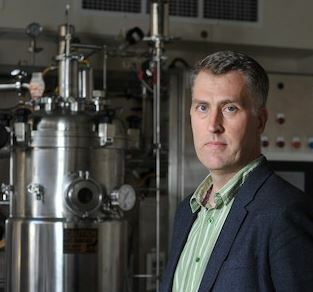 Now microbiologist Dr Chris Allen from the Institute for Global Food Security at Queen’s, is part of a team which might just have the answer. Hannibal was the Commander-in-Chief of the Carthaginian army during the Second Punic War with Rome (218–201 BC). He infamously led 30,000 soldiers, 15,000 horses and mules and 37 elephants on an improbable 1,000-mile march across the Alps to invade Italy – bringing the Roman army to its knees. The campaign, regarded as one of the boldest and finest military endeavours, ultimately shaped the future Roman Republic, eventually with Caesar morphing into the Empire, and therefore into European civilisation as we know it. Dr Allen and an international team led by Professor Bill Mahaney (York University, Toronto), travelled to a national park in France to an area first proposed over a half century ago by the biologist and polymath Sir Gavin de Beer. Until now, a lack of solid archaeological evidence to support the claim meant that the Col de Traversette pass (found at 3000 m) was not widely accepted as the crossing point in academic, military and historical circles. The team narrowed down the search location by analysing soil samples which revealed water in the area and showed signs of large footfall by thousands of animals. Using a combination of microbial metagenome analysis, environmental chemistry, geomorphic and pedological investigation, pollen analyses and other geophysical techniques, the researchers showed that a ‘mass animal deposition’ event occurred near the Col de Traversette that can be dated to approximately 218BC. Speaking about the research findings, Dr Allen said: “The deposition lies within a churned-up mass from a 1-metre thick alluvial mire, produced by the constant movement of thousands of animals and humans. Over 70 per cent of the microbes in horse manure are from a group known as the Clostridia that are very stable in soil – surviving for thousands of years. The research project, details of which are published in the Journal Archaeometry, was conducted in collaboration with scientists in Ireland, Canada, USA, France and Estonia. 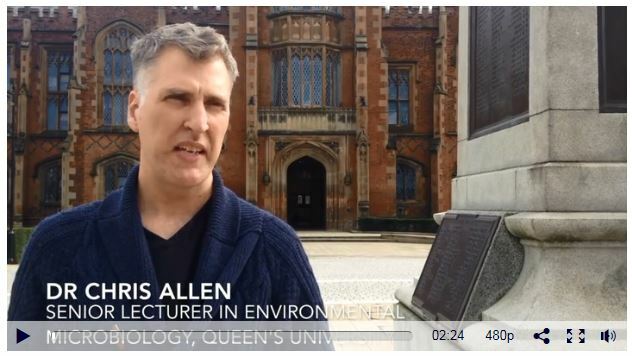 Click on the image (left) for an exclusive Belfast Telegraph interview with Dr Allen, where he outlines how the team researched Hannibal's journey and the significance of their findings. Media inquiries to Claire Kelly, Communications Officer for Research at Queen’s University Belfast, telephone +44 (0)28 9097 5391.